The Andalucian also played an integral role in a period of unprecedented and sustained Spanish success in the international arena. The national side claimed two European Championship titles in 2008 and 2012 as well as the 2010 World Cup in South Africa, the pinnacle of Spanish football history. Stan Collymore Show, Sky channel 512, Freeview 234,Freesat 206 at 1:30pm/5:30pm and 8:30pm this evening. “I felt very good about taking over as captain and I don’t think it’s pressure, but quite the opposite,” Ramos admited. 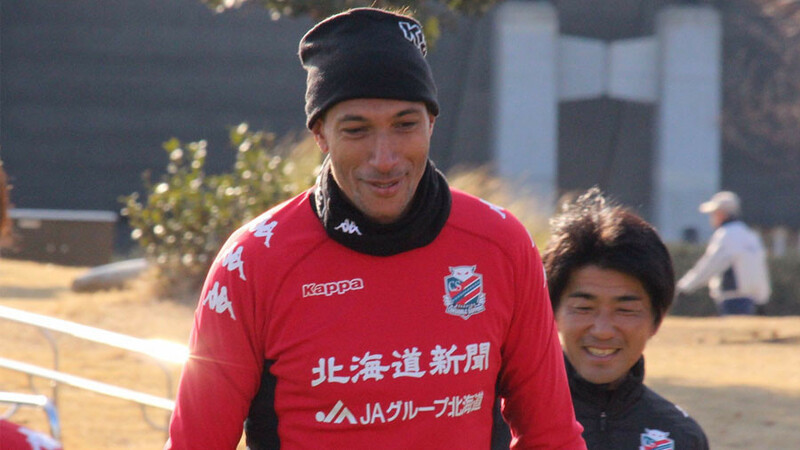 “I don’t know how my teammates see me, but it is true that I try to lead in the best way possible. I try to be honest and help my teammates, but above all, be truthful and when it comes time to be a leader, I think you have to be the one willing to step forward. Ramos was at the heart of defence as Spain established themselves at the epicentre of world football a decade ago. The team powered their way to a 2008 European Championship, the two years later won the country’s first ever World Cup in 2010. That was followed up by recapturing the European Championship in 2012 – becoming the first national side to do so. A mercurial golden generation of Xavi, Andres Iniesta, Gerard Pique, David Villa, Fernando Torres, Sergio Busquets, Carles Puyol, Iker Casillas, and Xabi Alonso provided the team with a blend of experience and youthful zeal responsible for their country’s greatest footballing achievements in just four short years. But their dominance did not carry on from their maiden World Cup win. At the 2014 tournament in Brazil, the Spanish side crashed out at the group stage, having been humiliated 5-1 by the Netherlands in their opening game. Redemption was not found at Euro 2016 either, as despite reaching the Round of 16 Spain were eliminated by a strong Italy side, in Ramos’s first tournament as national team skipper. Nevertheless, since then Spain have done what neither the Dutch nor the Italians could by qualifying for Russia 2018. Ramos believes today’s Spanish side, which he considers the equal of the 2010 World Champions, will make for interesting viewing going into Russia 2018 this summer. “I think [the team]’s different [to the 2010 World Cup winning team]. I don’t think it’s either better or worse. I think we played for the national team during its best time in history. We had an amazing team of players, a mix of veterans and young ones, including myself, who had just started playing for the national team,” Ramos said. “We experienced a unique moment, we created a game style, a philosophy. I think we brought ball possession style to the football world, the 'Roja' style that I think reached all corners of the globe with such power that it ended up winning the world over. And we enjoyed the best moment of our country, historically, and the victories are there: two European Championships and a World Cup. Now, after a long time, a new era begins. Several players have left the national team but we, the ones who were young then, are now veterans. Ramos captained Spain in their enthralling 3-3 draw with Russia at the St. Petersburg Stadium on the city’s Krestovsky Island, a state-of the-art area that will function as one of the 12 World Cup host venues. 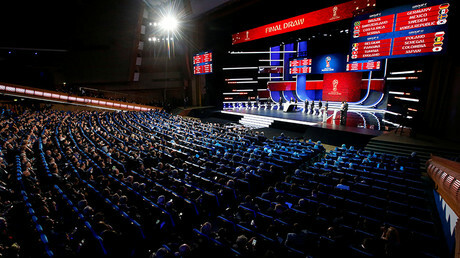 On the subject of the hosts’ participation, Ramos expressed hope that Russia will progress as far as possible, and complimented the nation’s quintessential warm welcome whenever he has played on Russian soil. “Well, we don’t have to play against [Russia] in our group, but I think that when one plays at home, backed by their country, one always has a higher responsibility. It is a plus and it gives extra motivation which will shine through. I wish the Russian team the best because when we have played there, they have always given us a friendly reception. But I only wish them well until we have to cross paths, if we ever do,” Ramos said. Regarding his own standout career, which has seen him win every major title at every level of football, the Spaniard unsurprisingly has a hard time singling out an achievement that defines his career thus far. However, there is one moment that will live with Ramos until the moment he hangs up his boots. “I think the best moment was when we heard the final whistle and knew we were World Champions,” Ramos beams, as if reliving that instant. “When you play football you know that when a game ends the big screen goes black and it reads game over, meaning there’s nothing else. There are very few sensations that can compare to what it feels like being World Champion of a team sport. Still only 31, there is every chance that this will not be Ramos’ last World Cup finals. There is little left for the player to achieve, but his international future begins in Russia on June, and the player has outlined some goals in the game he has yet to accomplish. “To date, I have very few things left to live when it comes to sports but as they say I have been fortunate to be the only team captain in history to hold two consecutive Champions Leagues, though I haven’t been lucky enough to lift a World Cup as captain which is something that bothers me because it is unknown to me,” Ramos said. When quizzed as to which he would prefer to win – a third Champions League on the spin or a second World Cup with Spain – Ramos offered an intriguing analogy to explain the difficulty of the decision. “For me, both. It’s difficult, but I think I have always been able to separate the two. If you are given a choice between a Champions League or a World Cup...fortunately I already have three Champions League and one World Cup. I mean I don’t like to mix the two tournaments as I enjoy both in different ways. The love of your wife or the love of your child, right?” Ramos explained. Ramos will now lead Spain into the World Cup, where he will face a familiar foe in their first game against reigning European Champions Portugal – current world’s best player and Real Madrid teammate Cristiano Ronaldo, the Portuguese captain. “Yeah. I believe it’s going to be a very exciting game and highly anticipated as well because it is a neighbouring country and there’s also this extra curiosity since Cris and I are captains,” Ramos said.